KuriKrimp™ Crimping Sleeves for industrial hoses are available in aluminum, plated steel and 304 stainless steel versions. 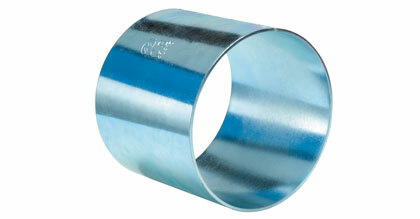 Sizes now available are 1", 1 ½", 2", 2 ½", 3, and 4" for plated steel and 304 stainless. New additional 6" and 8" sizes are available for plated steel. New aluminum sleeves are available in 2", 3" and 4" sizes. Click here for more info.